Check out a recent episode from our friends at Booking The Territory Podcast, where they are joined by Kevin Gill from The Kevin Gill Show! Check out the latest episode from our friends at Booking The Territory Podcast who celebrate their one year anniversary with a returning special guest – Ring Of Honor’s Donovan Dijak. Afterwards, Hosts Mike Mills, Doc Turner and Wildkat Sports and Entertainment’s Hardbody Harper discuss recent events, WWE Raw, SmackDown going live in July and much more! Check out the latest episode from our friends at Booking The Territory Podcast, featuring an interview with Bu Ku Dao from Wildkat Sports and Entertainment, who discusses the May 28 Wildkat card. Afterwards, Hosts Mike Mills, Doc Turner and Hardbody Harper discuss recent WWE, TNA and ROH news while addressing questions and comments from listeners. Check out the latest episode from our friends at Booking The Territory Podcast, featuring an interview with Cowboy Johnny Mantell from the Professional Wrestling Hall Of Fame, who discusses the upcoming HOF weekend to take place May 20-21, as well as the history of pro wrestling and what he looks to accomplish with the hall. Afterwards, Hosts Mike Mills, Doc Turner and Wildkat Sports and Entertainment’s Hardbody Harper discuss listener emails and address recent wrestling news. 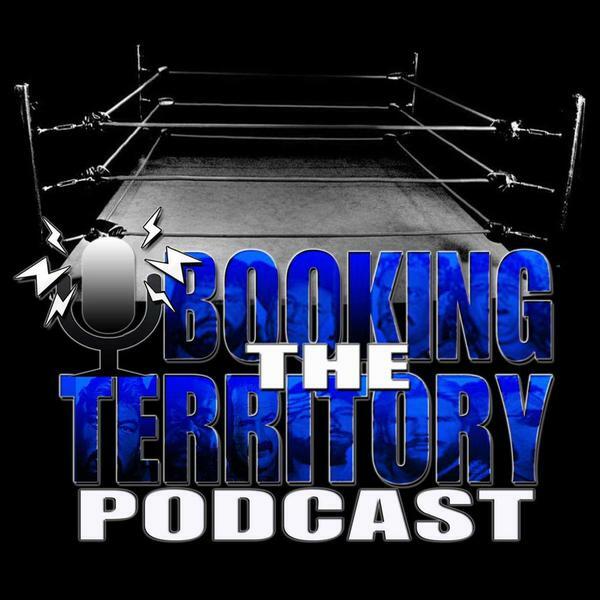 Check out a recent episode from our friends at Booking The Territory Podcast, featuring an interview with the returning Michael Tarver/Tyrone Evans, who discusses the recent WWE releases including Wade Barrett and addresses recent comments from Ryback, both of which are his former Nexus stablemates. He also talks about the release of Damien Sandow and his recent music project. Check out part I and part II of his past interview here. Check out a recent episode from our friends at Booking The Territory Podcast, which features an interview with past TNA and current NXT star Eric Young, who discusses many stories about Impact Wrestling and touches up on NXT. Afterwards, Hosts Mike Mills, Doc Turner and Wildkat Sports and Entertainment’s Hardbody Harper discuss recent wrestling events, like WWE Payback, the Raw that followed and TNA news. Check out a recent episode from our friends at Booking The Territory Podcast, which features an interview with Hoodslam’s Brittany Wonder, who discusses her thoughts on intergender wrestling among other topics. Afterwards, Hosts Mike Mills and Doc Turner discuss recent wrestling events, including Mills’ vulgar tirade about Stephanie McMahon and Triple H’s “Twitter grandstanding” regarding the death of past WWE star Chyna. Check out a recent episode from our friends at Booking The Territory Podcast, featuring an interview with newly signed TNA wrestler Marshe Rockett, who discusses his career journey, the process of signing with TNA and what he expects from the future. Afterwards, Hosts Mike Mills, Doc Turner and Wildkat Sports and Entertainment’s Hardbody Harper discuss the best of recent wrestling news. Check out the latest episode from our friends at Booking The Territory Podcast, featuring part two of a two-part interview with Sam Houston from the National Wrestling Alliance, who continues discussing his NWA territory days. Afterwards, Hosts Mike Mills, Doc Turner and Wildkat Sports and Entertainment’s Hardbody Harper discuss this week’s WWE Raw and TNA Impact shows!